As a millwork detailing firm, we are asked very frequently, ‘How do I impress someone without entering my home?’ Well, if you’re guessing the answer, it is pretty obvious. We simply reply, ‘Just add a famous person’s name on your nameplate.’ Of course, it helps if you are actually a famous person. But what if you’re not? And you are not going for criminal impersonation? Well, your front door is your best bet. In the architecture world, front doors are the windows to the world. More than a utilitarian entrance, they are a silent testimony to your personality and habits; in addition to being the focal points for the entire front façade. 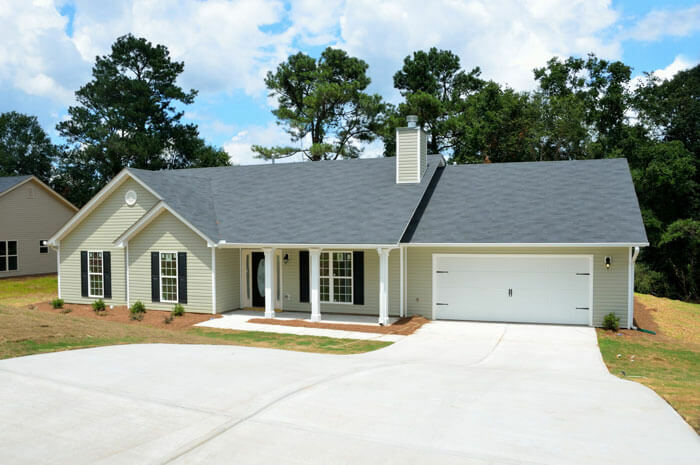 We understand that doors are probably the last thing on your mind – amid all the hullabaloo of floors, ceilings, tiles, MEP and other major aspects of home construction. 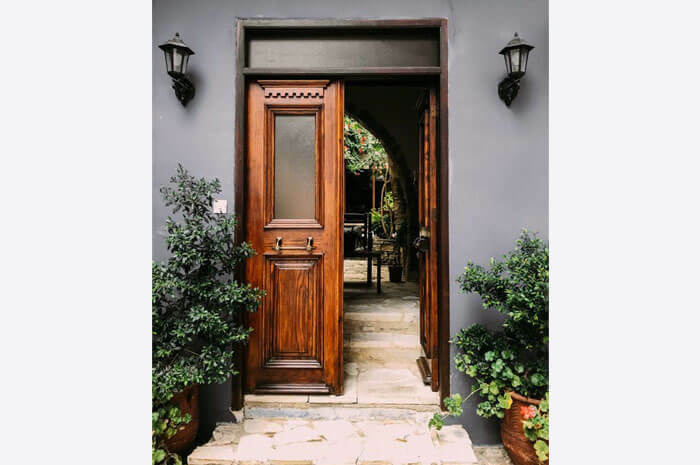 But think of it this way – your front door will be the FIRST FINISHED PRODUCT your guests will look at when you invite them to your housewarming party. Don’t you want it to be regal? Don’t you want your guests, family and friends buzz with anticipation about the interiors? Don’t you want them to appreciate your exterior? Well, it all begins with your front door. And here are all the things you can do to spice things up! Looks matter. 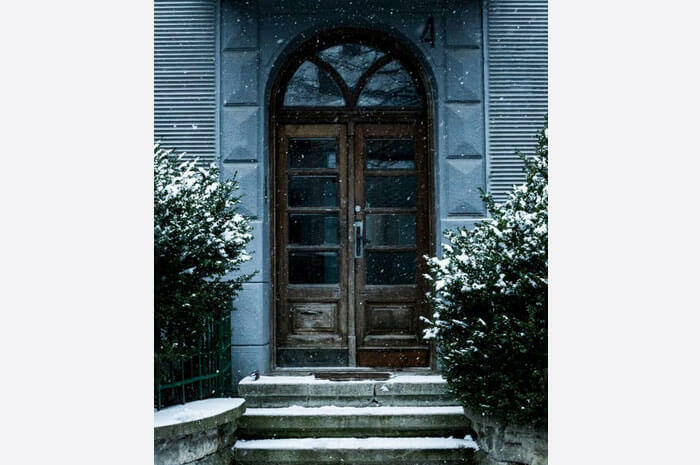 The architectural style of your front door should strictly be in coherence with your interior styling. This is why choosing the right appearance is vital. 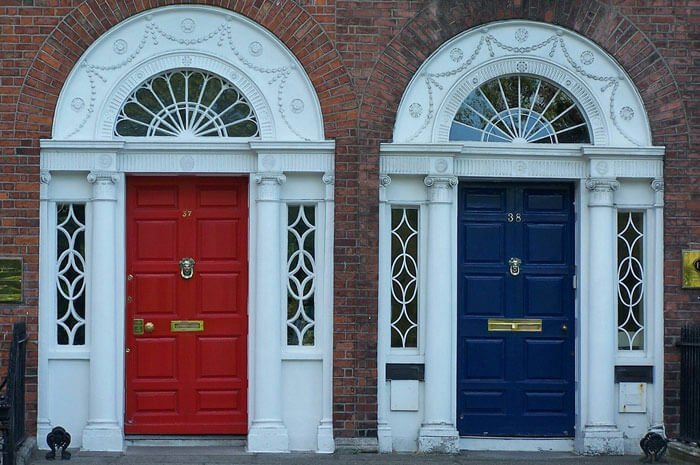 A common, mainstream door will ruin your front façade and an out of context door will definitely ruin your house’s persona. Maintain a concordance with both quality and looks to get a door that speaks for itself. The modern homeowner isn’t afraid to experiment with bold and bright. And the front entrance door is the best place to start with. Adding a dash of bold, bright paint will lift up a tired entry considerably. Against a green background of shrubs and plants, vivid colors will pop out and lead guests inside cheerfully. If you are more of a traditional experimentalist, you wouldn’t want to add bright, intense colors to your door. However, you can elevate the architecture to get the desired effect. Include details such as moldings, columns, trims and decorative brackets to bolster the appeal of your front door. A quick makeover with paint will enhance the already existing architectural millwork detailing elements. 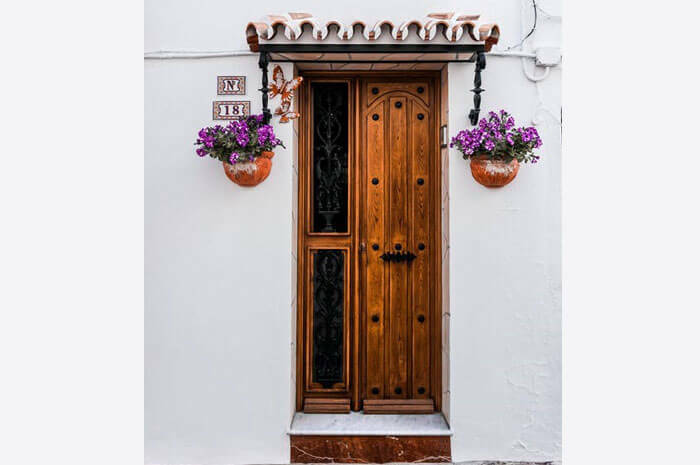 Your front door is the most prime location and therefore, should be the center of all attention. Accentuate the appeal with gorgeous wood finishes, colorful step tiles and potted plants. The current residents will be happier this way as well as the appeal for potential future buyers will increase drastically. You might not have a big patio or garden to create an outdoor walking space. But you can add a sense of warmth, comfort and welcome with a set or two of furniture. Add a small roof or awning to protect your guests from rain and sun. You can also add a personal touch to your door with the right accessories. Try including bells, knockers, decorative moldings, peep-holes, cute letter-boxes and unique frames. These will lift up the appeal of your front door and enhance the overall aesthetics of your exteriors. If you are a fan of contrast, you can go for two different designs on the inside and outside of your front entry doorway. These are popular with urban homeowners who want the best of both worlds by going in for double exterior custom doors. Combine a traditional front look with a contemporary inside look for your front door. You can also go for a polished metal surface outside to withstand hail, rain and sun yet have the charm and class of wood inside. In short, you are only limited by your imagination. The front door color reflects the kind of persona you carry. Are you as cheerful as yellow? Or are you a traditionalist like blue? Are you subtle and composed like grey instead? Or classy like black? Dare to experiment. Talk to your contractor about custom wood paneling design. High-quality wood in warranty might seem out of budget during the initial investment. However, it will definitely bring you great ROIs in long term. You can always go for wood – ever charming, classy and coveted. Make sure you get it coated with ultra-resistant paint though. For a polished, suave and sleek look, try a sturdy 24 or 22-gauge galvanized steel door, polished with a high quality finish. You can also consider fibreglass doors with a textured wood-grain finish. These doors are shock resistant and painting them will give them a high level of refinement and sophistication. When in doubt, you can always turn to millwork shop drawings expert team of BluEntCAD. While we recommend talking to your manufacturer for the best option that you have, you can still consider buying an oversized door. When done right and given that you have space and volume for it, your entire front exterior will benefit from it. Whatever material you go for, ensure that your front door is easy to use and operate. Opening and closing should be frictionless and effortless. Do not compromise on quality – premium products speak for themselves. 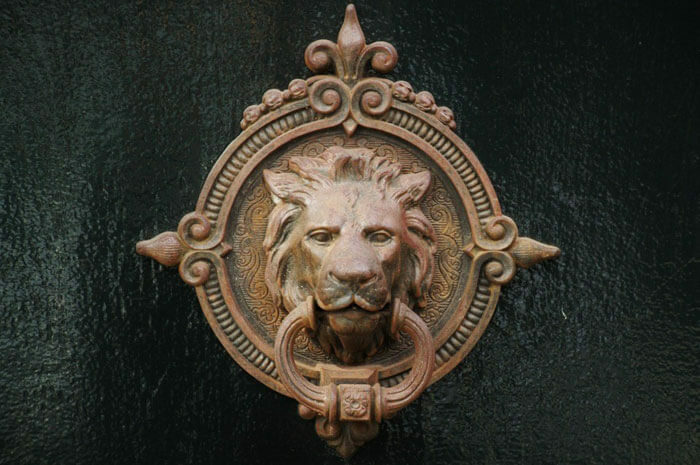 If you’re a fan of fantasy, you can get a door handle with lion faces. Or go for long handles similar to the ones inside palaces and forts. You can also go Victorian with ethnic door knockers. Either way, spend some time to find out what you really want to do with your door handles. Use elements from the rest of your exterior to create a cohesive appearance. For example, use the same arch in the window can reappear on the awning overhead. Keep the front-door path well-lit and groomed to add more feel. The pathway should be at least 3 to 4 feet wide so that two people can walk together. Trim overgrown plants and shrubs which block the view of your front door. Add large windows on both sides of your door to really open it up. Place flowers near the front entrance to upgrade the landscape. This is an easy and inexpensive way to add more colors to your outdoor patio or deck. Now, you can actually go online, look for some inspiration across Pinterest and Instagram and then ask your contractor to create something alike. Or you can get experts to do this for you. BluEntCAD’s team of specialist custom millwork drafting is at your service. Just ask for a reference or share an idea with us and we promise, we’ll bring it to life.